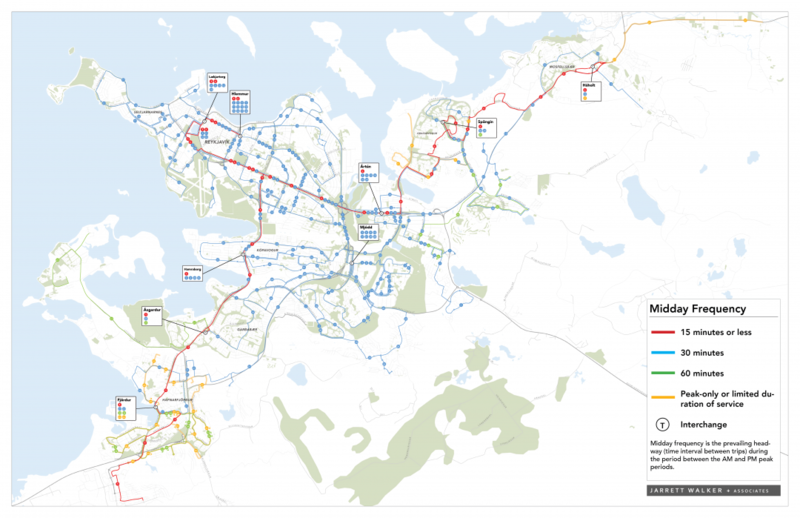 In 2015 and early 2016, Jarrett Walker + Associates conducted a review of Reykjavík’s transit system, Strætó. This involved a route-by-route and system-level assessment of the service level, ridership, productivity and network design of the system. The study concluded by presenting several key choices implied by the current design of the system, which future planning efforts geared towards goals such as improving ridership would likely need to consider.